4 Beds 2 Baths 2,023 Sq. ft. Enjoy a little southern charm on this traditional open front porch! 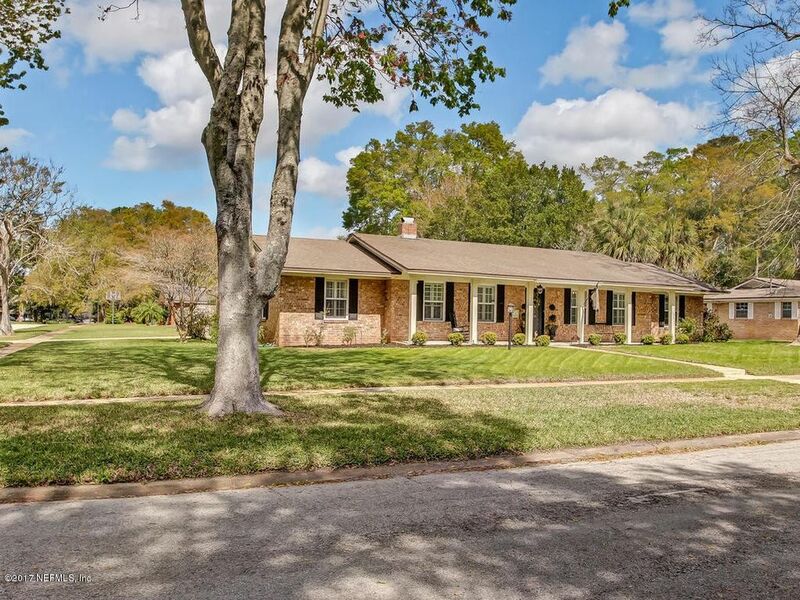 Well maintained Norwegian brick, 4 Bedroom, 2 Bath home nestled on a large corner lot is an absolute Must See! Over 2000sf offers a well-designed floor plan with separate Formal Living, Dining and Family Rooms. Recently updated Gourmet Kitchen boasts gorgeous granite counters, stainless steel appliances, Bosch glass cooktop, raised panel cabinet doors and modern pulls. Partial list of special features include updated baths, architectural shingle roof, gleaming hardwood floors, plantation shutters, large brick fireplace and mantle, crown molding, security system and 2 car side entry garage. Enjoy a bbq's on the extended patio and a fully fenced backyard-large enough for a pool and fire pit. No CDD and HOA is voluntary......, New owners can walk or bike to nearby shops, restaurants, library, park and a-rated schools. Directions: From Baymeadows & San Jose Blvd Head South. Turn Right On Beauclerc Rd. Turn Left On Whittington Dr Then Turn Right On Bowers Lane. Home Is On The Right.